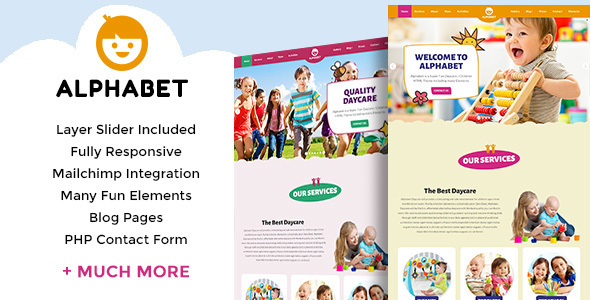 Alphabet is a Fun & Colorful fully responsive One page HTML5 made for any Children related websites. The theme includes many fun elements that are very easy to edit. It’s built on the Bootstrap Framework which has a powerful options that makes the theme completely customizable. It Includes 3 ready made Color Skins, but you can make your own color scheme yourself easily!